Patients are using cannabis to help with withdrawal off of everything from opiates to alcohol, reporting that cannabis is lessening the process’ pain, cravings and complications. There is good scientific reason to believe these reports. Scientific studies support the theory that cannabis is able to lessen withdrawal related pain, agitation, insomnia, depression and boredom. Both human trials and personal experience back up lab and cell data. Studies suggest cannabis diminishes addiction at the cellular level, lessening cravings and addictive behavior. In a 2009 French study, adolescent mice exposed to THC showed less addictive behaviors towards opiates than those who hadn’t been exposed. 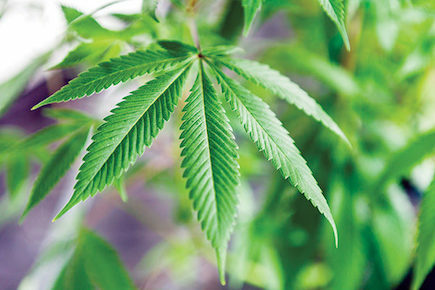 Several human studies show cannabis use increases the likelihood of successful withdrawal attempts from addictive substances like tobacco, heroin, alcohol and cocaine. While cannabis stimulates our reward centers in similar ways to these addictive substances, it doesn’t come with the same physical risks. If patients were able to replace dangerous and often deadly substances like opiates, alcohol or tobacco with a safer substance like cannabis, for many this would be a lifesaving treatment. This argument is supported by the fact that in states like Colorado, where cannabis was legalized, deaths from opiate overdoses have gone down by 25 percent. When patients have access to a less harmful alternative to their painkillers, they are able to replace or lower their use with something safer.